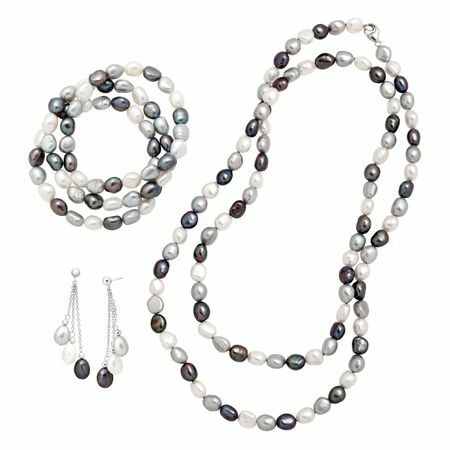 Add some color to the simplest of looks with this pearl set! Strung with 7-8mm white, gray, and purple pearls, the necklace measures 35 inches in length, and can be worn as one strand or two, complete with a sterling silver clasp. Earrings measure 2 by 1/2 inches. Bracelets each measure 6 1/2 inches in circumference.